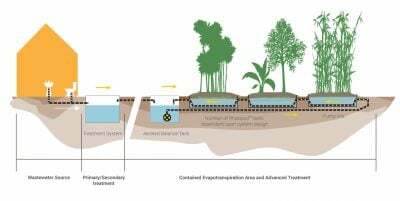 The Rhizopod® system is a ‘no-release’ evapotranspiration channel used to disperse on-site and decentralised treated wastewater into the atmosphere. It has been developed for use on difficult sites where soil types, set-back distances, or available footprint has meant that other forms on water dispersal are not practical. 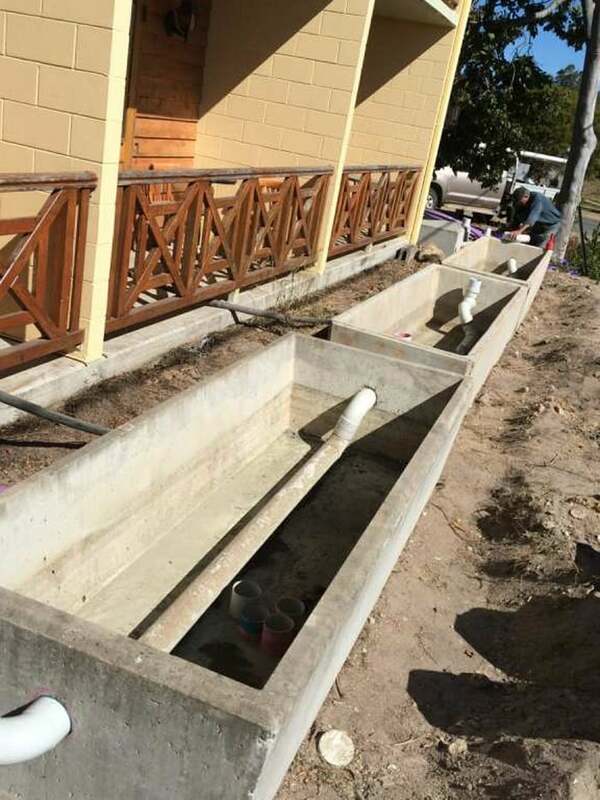 Pre-treatment is provided through septic tanks and/or package treatment units. 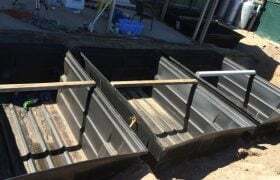 The Rhizopod® channels are designed to resemble a raised garden bed. 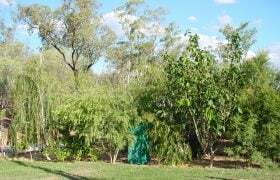 Treated water is pumped through a series of pods planted with a variety of plants. 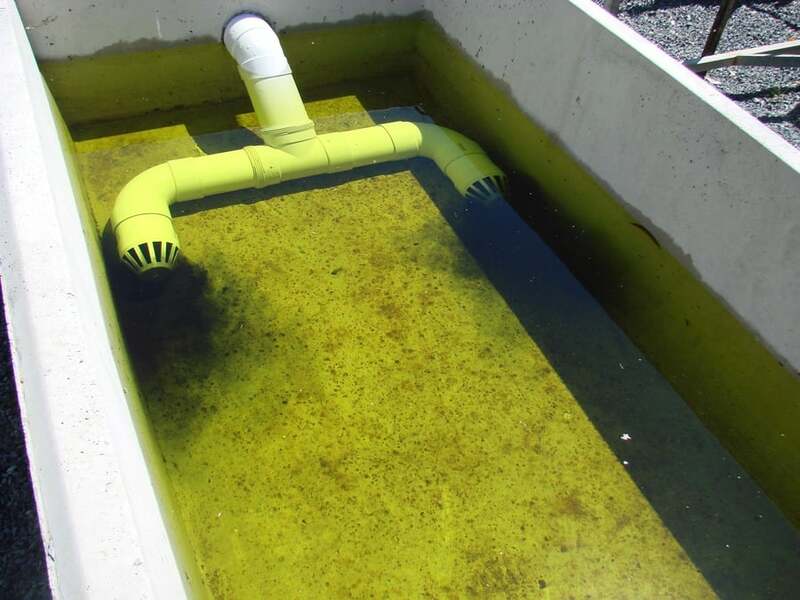 Any water not used for evapotranspiration is stored in a balance tank and recirculated through the pods until used. 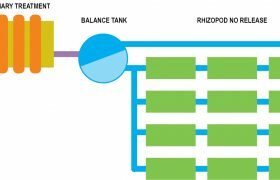 The recirculating nature of the technology and the holding tank have resulted in a relatively small footprint for the Rhizopod® system. 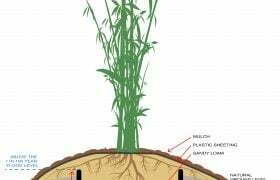 The Rhizopod® technology has been installed and operating since 1998. 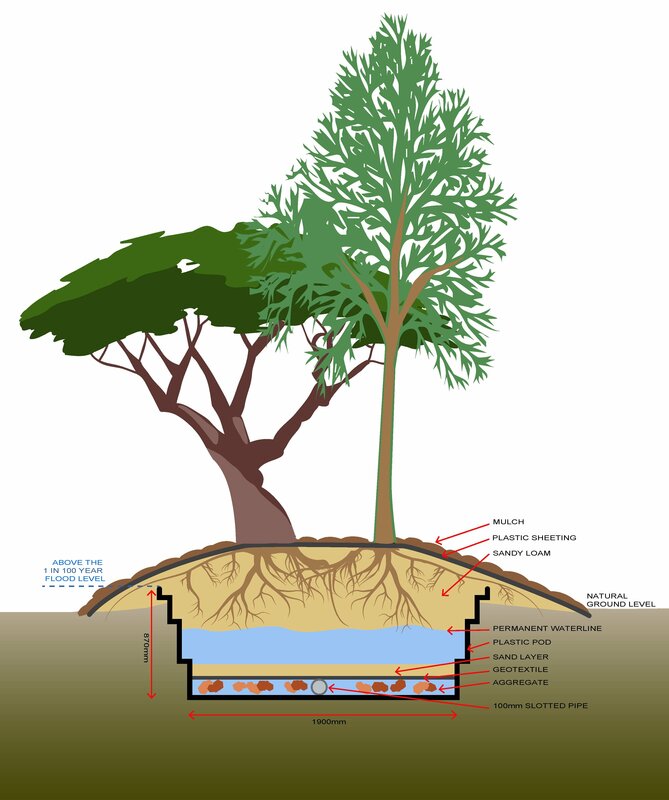 Arris Water can design, construct, maintain and operate Rhizopod® systems. 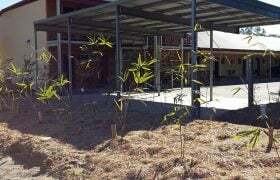 The Rhizopod® system has been very popular at caravan parks and for small clusters of houses. 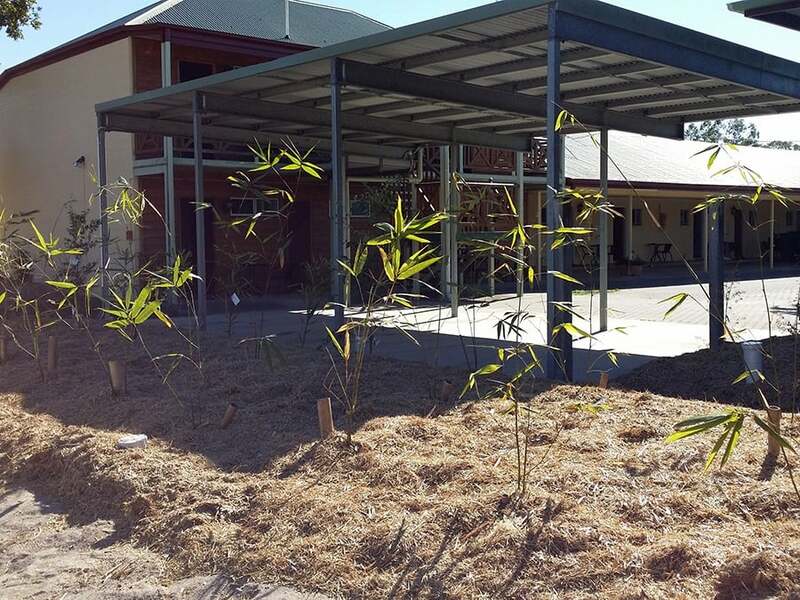 Water planners have used Rhizopod® systems to delay expensive capital works programs. 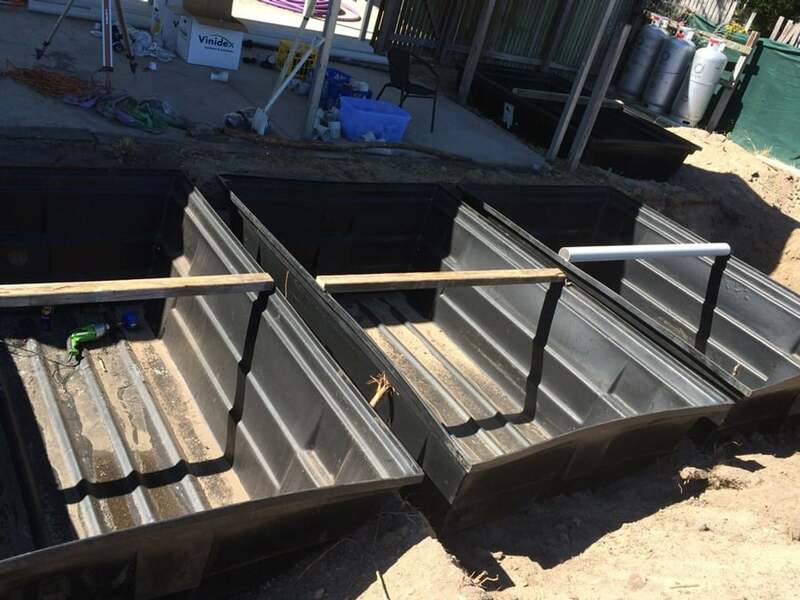 The Rhizopod® is available in either concrete or plastic pods. Both types of pods have been certified by SAI Global as compliant with AS/NZ 1546.1: 2008. 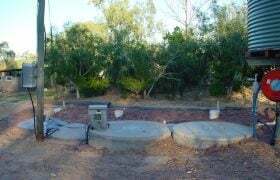 Please note, in South Australia only the concrete pod is available. 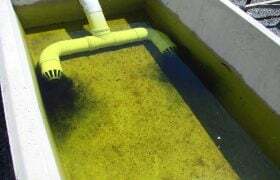 Many soil types are unsuitable for the long term application of effluent. 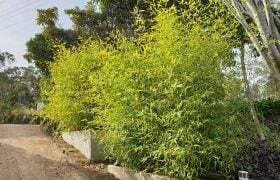 Some sites are so close to environmentally sensitive areas that the required set back distances make the development of the land unviable. 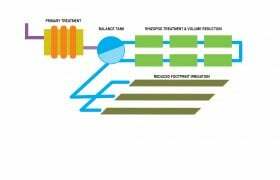 Rhizopod® system imports soil suitable for the long term application of effluent, and treats and reuses it within a contained environment, minimising the applicable set back distances. 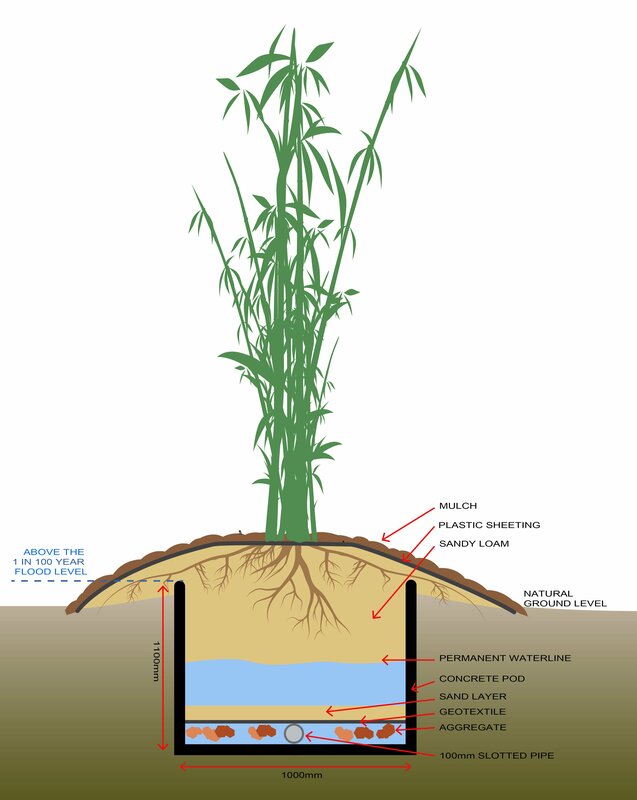 Plants grown in the channel allow all the effluent to be reused; with a holding tank providing wet weather storage. 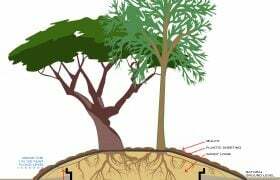 This allows the Rhizopod® system to be successfully installed on sites with very poor soils and relatively close to environmentally sensitive areas. 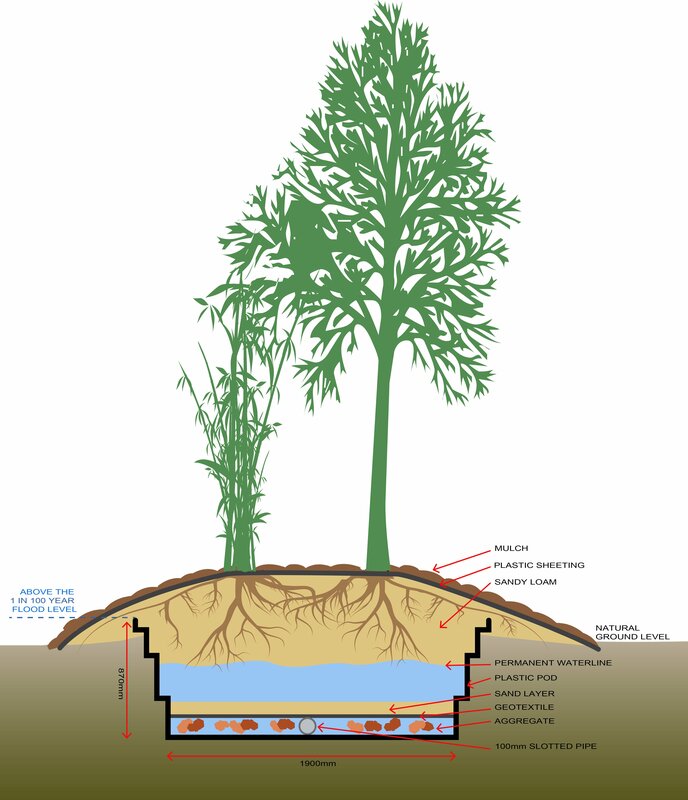 Rhizopods® are being used for single domestic systems through to decentralised systems for small communities of 1600EP. 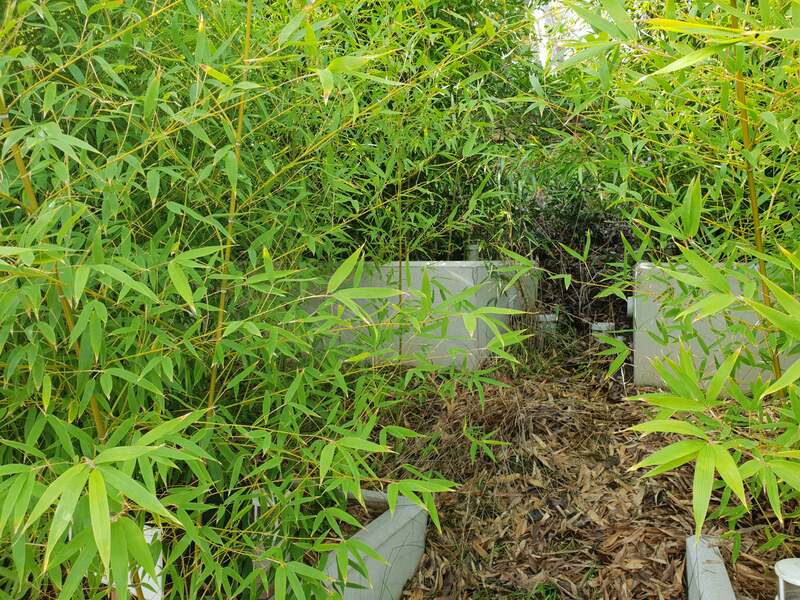 Rhizopod® system installations have been granted ‘no-release works’ licences under ERA 63 by the Queensland Department of Environment and Heritage Protection – which reduces the annual licence fee and the monitoring requirements. In 2015, Arris received product approval by the South Australian Department of Health. 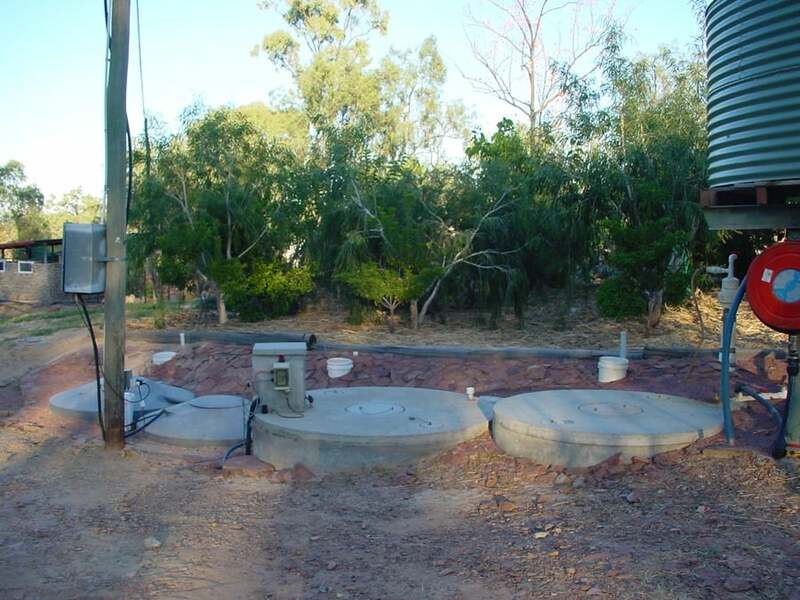 If required, the technology can be adjusted so that it produces ‘fit for purpose’ recycled water. 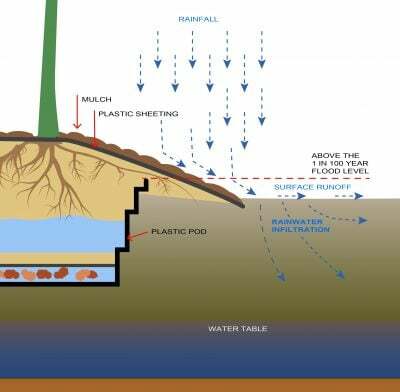 The water’s passage through the Rhizopod® system polishes its quality and reduces the volume available for external recycling. 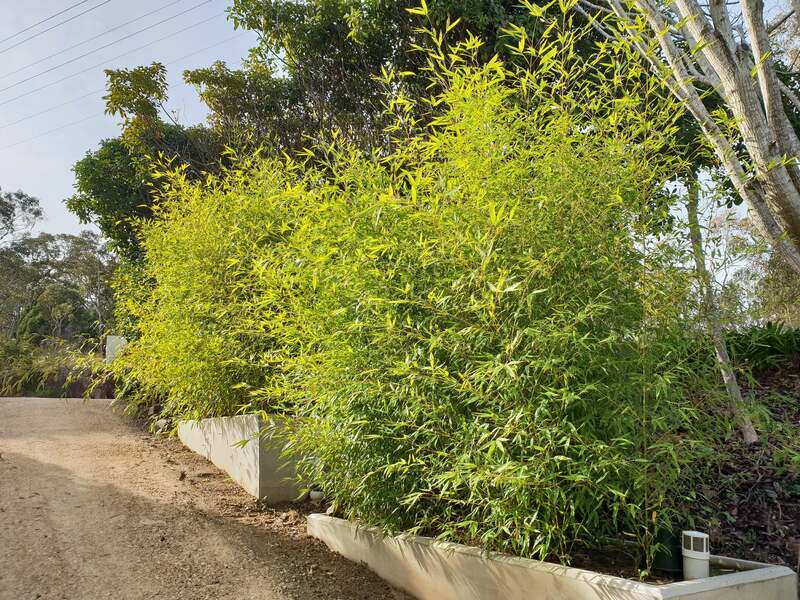 The Rhizopod® system has design features that exclude rainfall infiltration and prevents overland stormwater flow from entering the pods. 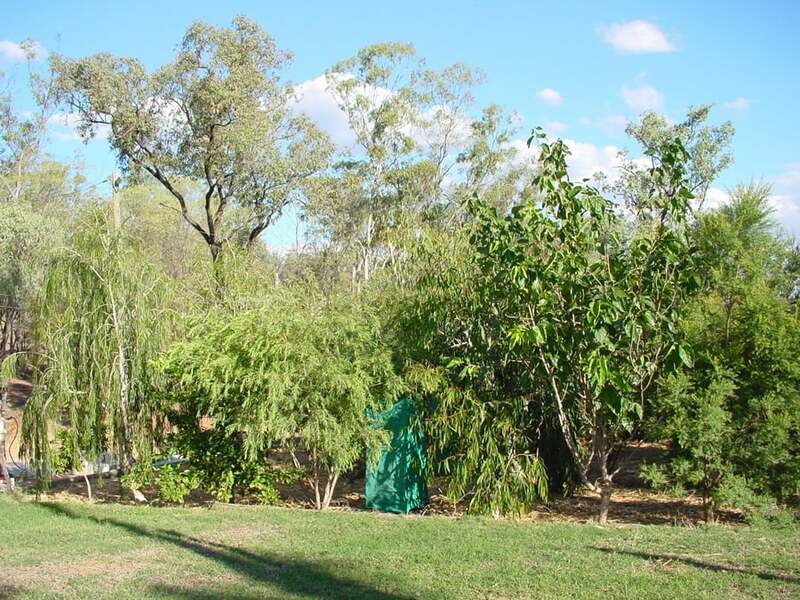 This means that wet weather events have a minimised impact on the evapotranspiration performance of the plants in the pod. 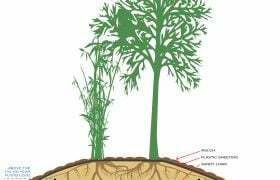 Techniques to minimise rainfall intrusion into Rhizopod®. 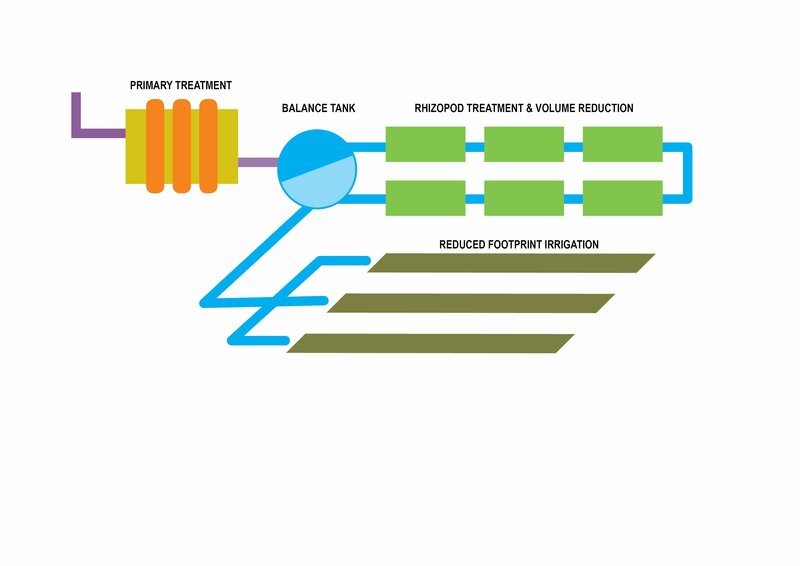 Arris Water and its licenced distributors are the exclusive providers of the Rhizopod® system. 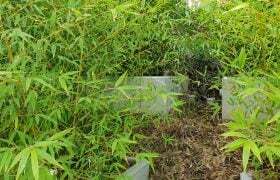 This technology was developed by Ben Kele during his Master’s degree by research study at the Centre for Plant and Water Science at the CQUniversity. It has been known previously as the RET system & the Kele System. 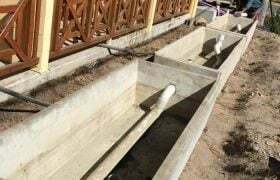 The dual drivers for the development of the technology were to create a system that is independent of the local soil type and one that treated wastewater in a contained manner. 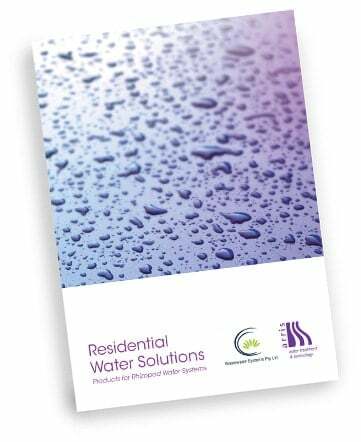 Download our Rhizopod® system brochure to find out more.